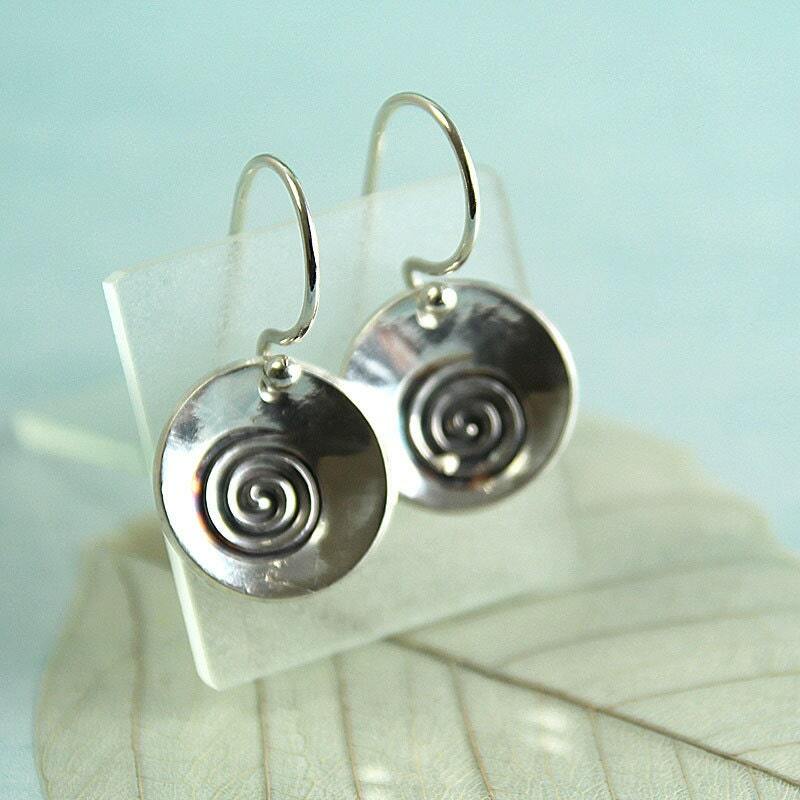 Concave dangle earrings with the popular spiral symbol inside a fine silver bowl hanging from sterling silver French hooks. 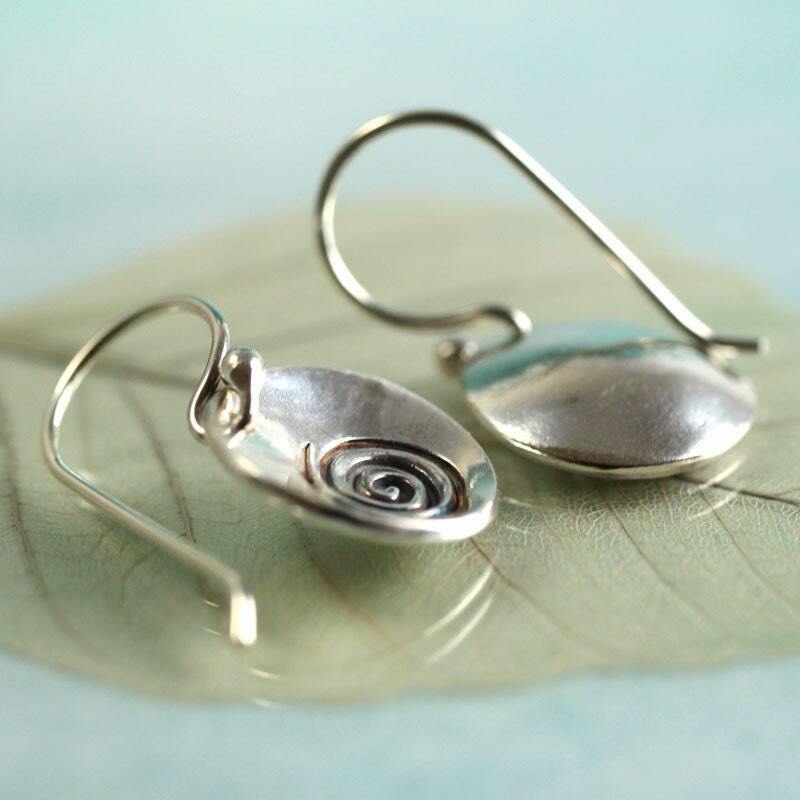 The cups are first cut out as discs and impressed with the nature design, them pierced and domed, before a patina is added to the spiral itself. Finished with a polish and hung from handmade ear wires. 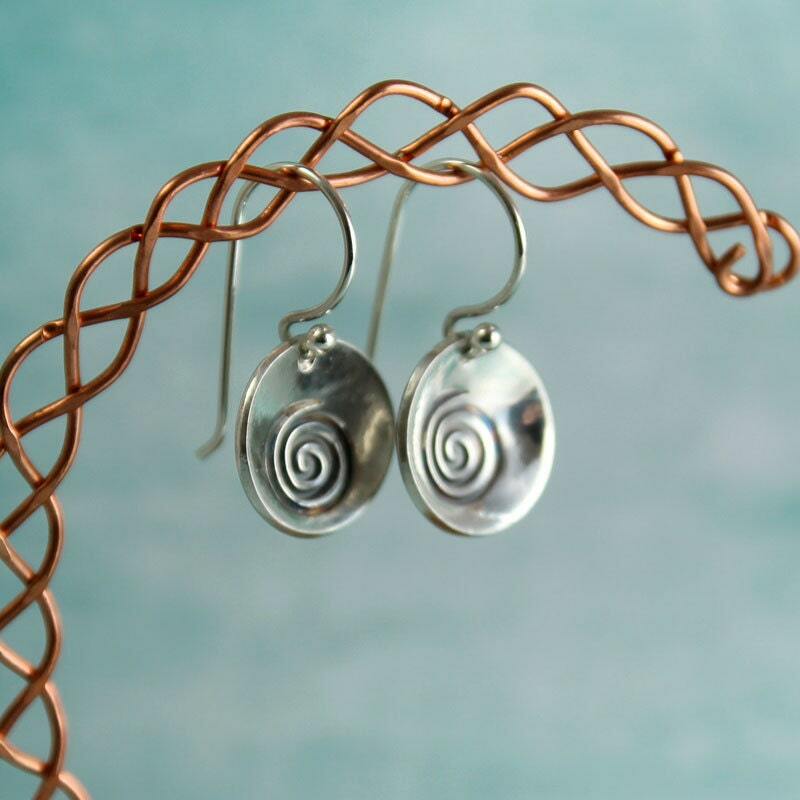 Spirals and circles are much more commonly found in nature than straight-edged shapes like triangles and squares. As such, people today tend to associate spirals with the natural world as opposed to the constructed, mechanical and urban world. 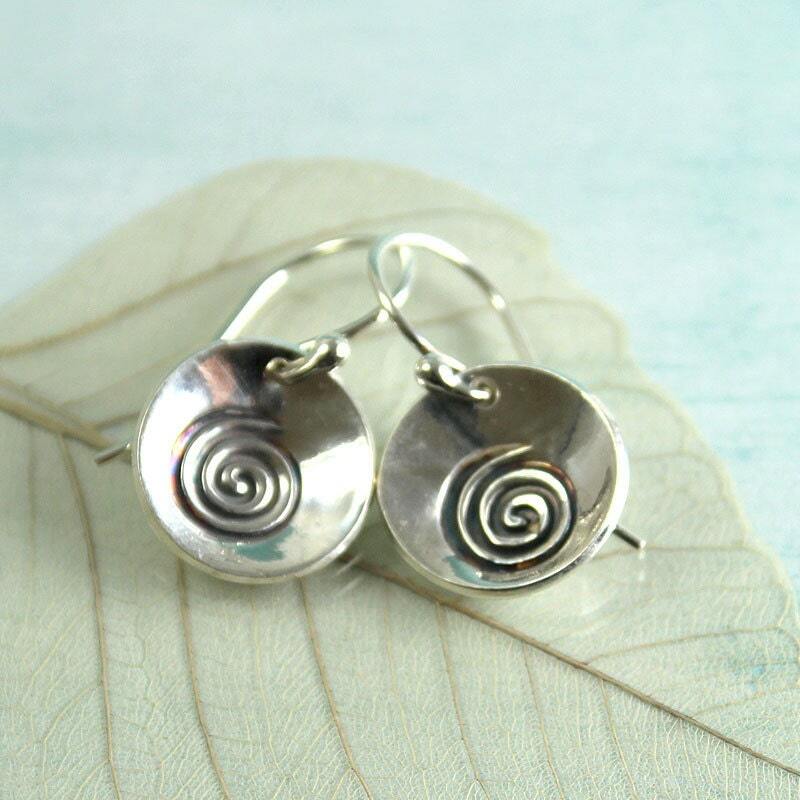 Spirals are primal, raw, and unrestrained by man. Arrives in a cute little box. 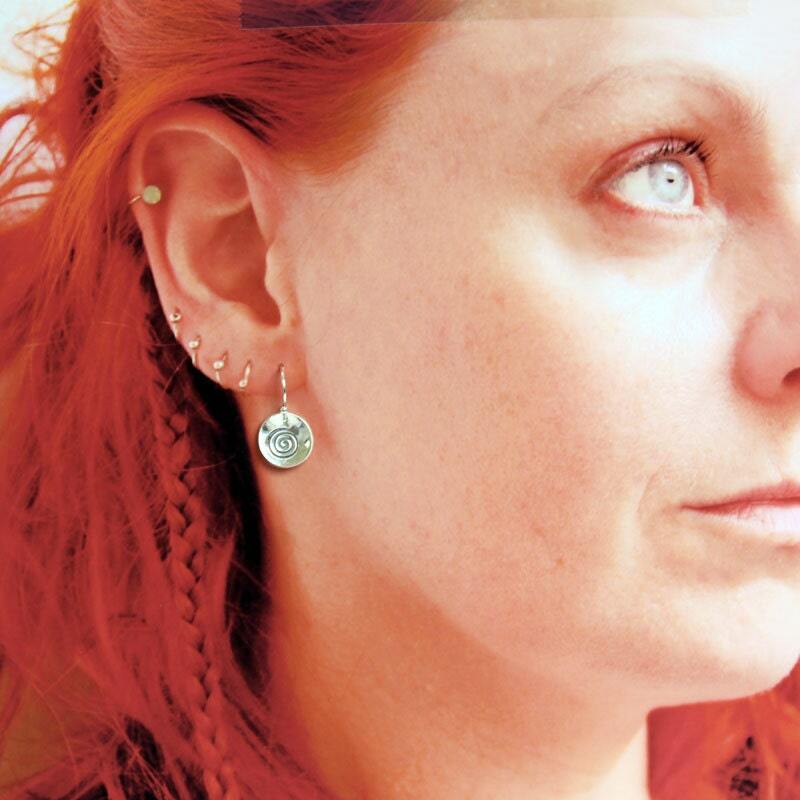 These are absolutely gorgeous earrings!